Just in case you haven’t felt it, we are in another energetic shift. It makes total sense if you feel at all, out of balance. However, we can ride the wave with ease by spending time in quiet reflection, and by asking the Archangels to help. After reading the significance of the full moon update with Lena and Pat, there are a couple of different ways to call on the Archangels. To regain balance call on Archangel Haniel (bluish white energy), to sync your rhythm with Mother Nature, or you can call on Archangel Metatron (deep purple energy like eggplant), to align and balance you Chakra’s. The full moon is all about releasing and this moon in particular, calls for us to intentionally release any and all things that are holding us back. It doesn’t matter if it’s from the past, present or even from something in a past life. It truly doesn’t matter where it originated from . . . just release it, intentionally. You can do that with Archangel Michael in a very simple way. When I envision Archangel Michael, I see him as a winged warrior complete with helmet and body armor; his shining steel sword at his side. He is the mighty protector. Think of anything that embodies steel, like commitment, strength, courage and protection. Archangel Michael has a way of cutting the “wheat from the chaff,” leaving only what is truly important. If you want to release something that is keeping you stuck, Archangel Michael is the one to call on. Imagine him taking his mighty sword and cutting straight through anything that no longer serves you. His warrior energy reminds us to stand strong and acknowledge that we are both powerful, and loving. Sometimes we experience trauma’s that seem to be difficult to let go of. Just ask Archangel Michael to help you to release it. There are “etheric cords” that attach us to situations or people. If you could see them they would be white. No matter how enmeshed, or traumatic the situation, these little beauties are no match for Archangel Michael’s gleaming steel sword. Imagine yourself surrounded by his beautiful blue light. Then imagine that he takes everything, every last piece of white etheric cord by slicing right through it, leaving you clear and free of that experience or person. You will know if, and when, you ever need to repeat this exercise. Happy Easter, I’m sending you good vibes! 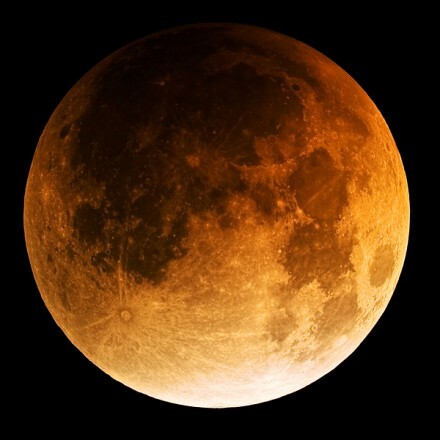 The Full Moon with a Lunar Eclipse is Wednesday, March 23 at 6:00 AM Mountain Daylight Time(MDT). Right on the heels of the Spring Equinox where we honor new beginnings and birth, comes the full moon with the second eclipse to inspire and energize us with fullness and power. This is a good time to reflect on anything new that has come into your life; relationships, partnerships, good fortune, big choices, business, projects, health, healers, challenges of any kind, or any new environments. What is it that they need at this time? How can you support them so they have the best possible chance of manifesting in a good way? The full moon is always a time for gratitude and a time for seeing your life as full. If anything you are doing or experiencing feels less than full of what it needs, this is a good time to ask spirit for help. Whether it is love, support, health, stamina, energy, knowledge, direction, rest, inspiration, intimacy, excitement, trust or peace, ask and you shall receive. We are also still in the influence of the Equinox. So if you have not yet spent any time in contemplation of new intentions, it is not too late. You may also be in the process of completing something to make room for that new seed you are planting. Remember also that this is a time of collaboration and community support, so always include how others can participate in your dreams. We have passed that perfect moment of balance between the dark and the light at Equinox. The Sun now helps us grow and stretch as we move through Aries, Taurus, Gemini, and then reach fullness and ripeness when the summer season comes. Our guidance at Full Moon is influenced by the wisdom of the Aries-Libra axis. We have a mandate to hold sacred and explore our own unique individuality and inner exuberance through the Aries Sun, as well as the Libran qualities of balanced relationship to others and learning the joys of cooperation brought to the forefront of consciousness with the Full Moon weighted with extra strength by the eclipse. Libra brings the refined arts of diplomacy, tact, and fairness because of Venus’s rulership over the sign. While the Aries Sun fuels our urge to go out and take action that makes a big shift in our lives, the Libra Full Moon wants to take individuality to the next level and learn by joining with the intimate other and respond with give and take, compromise, flexibility. Libra rules marriage, intimate partnering of all kinds, but also business partnerships where the decisions of one strongly affect the other. There’s also the quality of projecting on to the other, whether it’s your own inner qualities that you see in the face of your beloved, or the manifestation of a darker story of co-dependence, and resisting/resenting the other when giving away your power. Libra being an air sign can bring us great objective clarity and teach us to receive change as a blessing as the Moon dims in eclipse and we get a clear glimpse behind the scenes of the issues that are holding us out of harmony with our inner selves, our lives, and with others. With Mercury riding with the Aries Sun there may be some delivered messages/signals about what is blocking your path to full expression. You may have to own up to some emotional fence straddling, indecisiveness, or vacillation that is subconsciously motivating you. With Mercury so close to the Sun and opposing the Moon, you may have trouble getting your emotional needs heard. A very big theme in this final eclipse/full moon is the one delivered by the South Node of the Moon. South Node, Chiron, and Ceres are all in Pisces in the same degree ~ 21º. The same theme was prominent in the Pisces New Moon eclipse and Equinox as well (and the last set of eclipses in September 2015). To simplify, South Node is about releasing something in this lifetime brought in from the past; Chiron is about extracting the wisdom from a deep wounding and making it your healing medicine; Ceres, the Mother Goddess, is about the Earth/cycles of nature. The eclipse cycle is emphasizing the powerful theme of releasing the deep incarceration of the archetypal feminine from the past and bringing her into her full empowerment and compassionate presence. Forgiveness is Pisces’ path along with trust in spiritual consciousness. This seems a tall order considering the state of the planet right now, but that’s where this configuration points. The Nodes travel through Pisces/Virgo for 19 months; it’s an ongoing focus for our growth. We are also experiencing on this eclipse-day Full Moon the second of three squares between Jupiter and Saturn. We had one in early August ‘15, one now, and a third on May 26. It’s a closing square of a cycle begun in 2000. Closing squares suggest that as you are about to finish a cycle (complete in 2020), you begin to reorient, shift your consciousness and invite forgiveness for all that has gone before. Jupiter/Saturn is about reconfiguring a much larger container for our society, beliefs, culture, religious ideals. Take a deep inhalation at this Full Moon in Libra of all that needs to reorient at this ‘square’ crisis point and exhale all obstacles to a new vision of where we are going collectively. Get clear on where you want to focus your visionary arrow, so the focus and disciplined action of Saturn can line up behind it. With Jupiter square Saturn active, it may become clear where you may have gone too far out on a limb and need to pull back, reorganize and put some boundaries on certain areas of your life. Saturn will support this reflection as it takes a long retrograde from March 25 until August. With Sagittarius rising for the USA chart, Saturn now in Sagittarius is passing over an area ruling the people. We have come to a time of needing to take more responsibility for this country and redefining our governance, culture and beliefs. A lesson-packed, dramatic, wrenching process challenging the old patterns, but with unmistakable revolutionary vision supported by young people and those disenfranchised and disillusioned by the current system. This is a penumbral eclipse meaning if it’s visible to you it will only be a shadowing, not a blocking out of the light like a total or even partial eclipse. It will be seen at Moonset over western North and South America. Full eclipse seen over Alaska, Russia, Indonesia, western Australia and at Moonrise will be visible in eastern Australia, Indonesia, Asia and Indian Ocean. Libra’s wisdom is about balance. We seem to have a real dichotomy of lows and highs in our lives ~ looking at what’s become a burden and getting some real spiritual traction in our lives. The body has difficulty with the magnitude of the lessons here. Treat it with respect and nurturing support. Align with like-minded others to strengthen the positive movement breaking new ground that is gathering in so many forms. Balance is about finding that third point between two extremes.